Tevita Kuridrani has revealed how he was “scared” playing Test rugby last year before developing into one of the Wallabies’ deadliest attacking weapons. 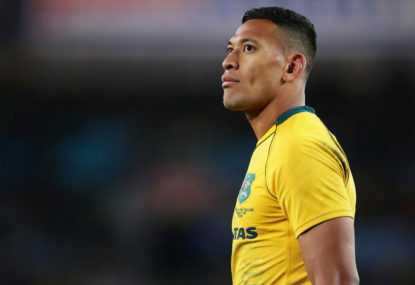 Kuridrani’s scintillating form was a highlight of Australia’s 28-10 loss to South Africa on Saturday, one of his 16 tackle-busting runs setting up the Wallabies’ only try for winger Adam Ashley-Cooper. “I’m feeling good. 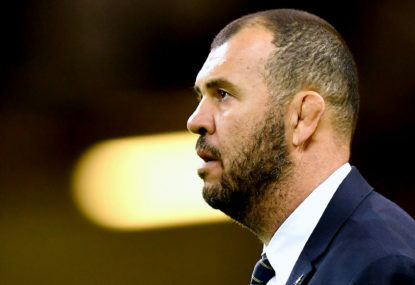 That was probably one of my best games I’ve played for the Wallabies,” Kuridrani said after arriving in Argentina on Monday ahead of this weekend’s clash with the Pumas. “It was a pretty tough one to lose, I’m pretty happy with the way I went. “I have to try and back it up again this weekend and not just play that one (big) game and that’s it. The Fiji-born excitement machine admitted he was “probably shocked a little bit” to receive a Test call-up last year and only now is he starting to believe he’s capable of making a difference for the Wallabies. “Last year when I was playing for the Wallabies, I was still scared,” he said. “Then the more I played, the more I started understanding and started to get confident. After establishing himself as Australia’s first-choice outside centre during last year’s Rugby Championship, Kuridrani ended the Wallabies’ spring tour under suspension and had to bide his time on the bench for his first five Tests of 2014. 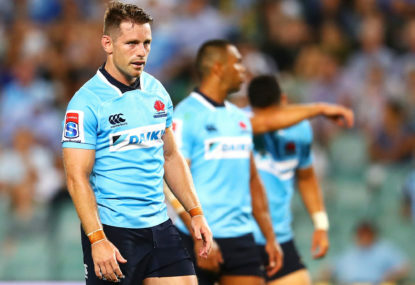 But after winning back the prized gold No.13 jumper from Ashley-Cooper, Kuridrani is hoping to hang on to it and credits Brumbies teammate Christian Lealiifano for inspiring his form surge since earning his starting recall last month. “He’s just always telling me to back myself. Like whatever I do, just back myself,” Kuridrani said. Shy and softly spoken off the field, the 23-year-old says a concerted effort to start imposing himself on his more-experienced teammates on the pitch is also helping. “I’m starting to get more confident now about speaking to the boys and calling for the ball when I want the ball,” he said. “They’re starting to understand to give me the ball when I call for the ball. A different, more destructive beast. “I just know when to switch on when I come to a big game,” he said. The panel for Israel Folau’s code of conduct hearing has been confirmed, with John West QC the chair. 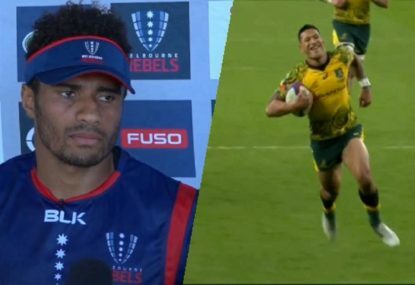 Wallabies and Rebels scrumhalf Will Genia says Australia can still win the World Cup even without star fullback Israel Folau. 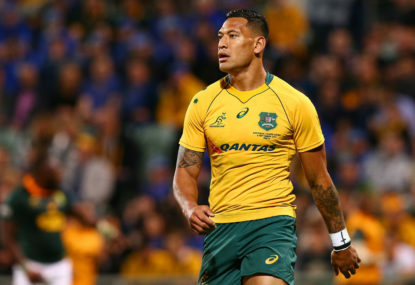 As Israel Folau challenges a breach notice from Rugby Australia over a controversial social media post, a selection dilemma looms for the Wallabies as they decide who is the most suitable replacement. 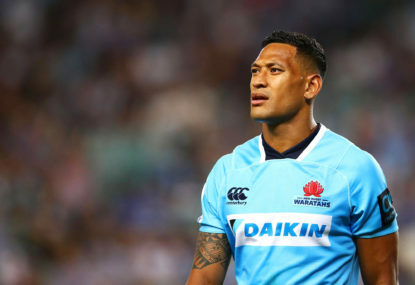 Israel Folau’s decision to fight Rugby Australia tearing up his contract after another homophobic rant on social media has set up a code of conduct hearing sometime in the next fortnight after the Easter and Anzac Day break.